Ken Gavin is the director of communications for the Archdiocese of Philadelphia. That’s funny, because back in November, 2014, he acknowledged the appeal to Cherri Gregg from KYW. “He says the pastor recommended that the church be demolished, but the parishioners appealed to Rome. 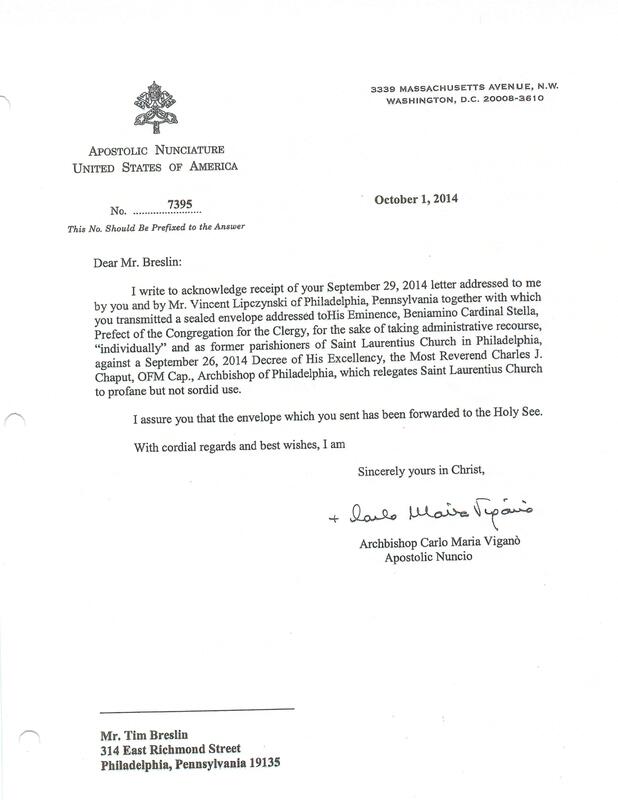 I guess our appeal has become an inconvenient truth for the Archdiocese of Philadelphia. OMG This is fantastic to have this on Ken Gavin!!!!!!! I so agree he is an EPIC LIAR!!!!!!!!! I pray this can be used against him!!!!!!! OMG How can he get away with his blatant lying?????? My faith and trust in the Archdiocese of Philadelphia cannot be any lower. I did not think it was possible that we could have so many Religious be so callous to the parishioners of our beloved St. Laurentius Church. Through this whole ordeal we have not had 1 word of sympathy, comfort and truthfulness from our so called Shephard. Maybe this would have helped a very difficult transition for our community. This is not just a building it is the heart of so many families. To not see this Church stand tall in the Fishtown neighborhood as it has all these years is just too sad.